My journey as a composer began some thirty years ago, primarily in response to my pupils’ pedagogical needs and their requests for specific repertoire. Little could I have known then that I was embarking on a voyage which would blossom into a passion, providing me with a wonderful means of self-expression as a musician, and of self-discovery as a person. I was privileged to have spent four invaluable years studying at The Royal Academy of Music, but I never received any instruction in composition. Thus, I was left to rely on my experience, knowledge and instincts as a pianist and teacher, to guide me through this unfamiliar territory! My first works included a sight-reading series, subsequently entitled ‘FunKey!’, a number of bespoke duets, a set of jazz-style technical exercises and a piano course for pre-school children. A significant turning point for me was the discovery of The EPTA annual composers’ competition. This opportunity provided the catalyst for me to broaden my compositional horizons. In addition, it spurred me on to incorporate this creative element of music into my teaching, resulting in many years of enjoyment and satisfaction for both myself and my pupils. 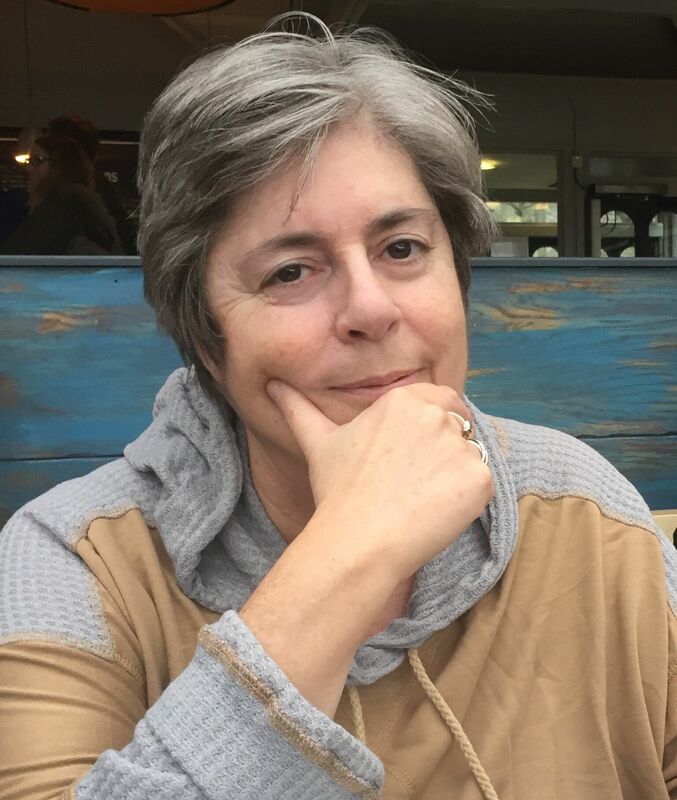 In terms of my own development as a composer, having begun to explore a freer range of writing, the creative process gradually gathered momentum. I revelled in the technical challenges of wrestling with toccatas, fugues and studies, and in the chance to explore both the field of tonalities and the world of the subconscious. The latter resulted in works of a somewhat philosophical nature, such as Chromatic Fantasy, Enigma and Tunnel Vision, and, influenced by the jazz idiom, Introspection. Opening out the parameters of composition meant the need to adopt diverse approaches. The above mentioned FunKey!, and its flute counterpart Jazz Keys, both later published by Kevin Mayhew, were written very much as teaching aids, intended to improve students’ reading and transposition skills. I created most of the material away from the instrument, relying on my inner hearing, and the process felt predominantly cerebral in its nature. In order to compose more complex repertoire, working at the piano was, and remains, a necessity. Pieces with a specific structure, and those with a technical purpose again have their roots in a cerebral process. Fugal writing, in particular, has a methodical, almost mechanical aspect to its construction, and I find composing music of this type immensely rewarding intellectually. By contrast, compositions of the more philosophical nature emanate from my emotions (although edited by my intellect! ), often providing a cathartic experience and an outlet for life’s complexities. An eerie, rubato introduction sets the scene. A left-hand ostinato based on augmented 4ths represents the movement of the train, while the right-hand mimics the sound of its whistle. Tension builds, until fortissimo chords herald the appearance of a frightening apparition. The train restarts twice more, the last time accelerating, until octaves, played presto, lead into a final terrifying encounter! The movement of a slowly turning Ferris Wheel is captured by fluid writing and gently rising and falling phrases. To add to the feeling of tranquillity, parallel 4ths are employed, transporting the performer and listener to the beauty of the Orient. An atmosphere of excitement tinged with fear is set from the start! The whole-tone scale rises, as the passengers are slowly carried to the summit. The cars descend dramatically, represented by vivace chromatic semiquavers, becoming dissonant along the way to reflect the cries of the riders. Twice more this scene is repeated, and the final descent builds in contrary motion to a fortissimo climax. Slow, dissonant chords create a feeling of outer-space, leading into an appassionato section which gradually rises to a soaring fortissimo. The music then slowly dies away, with descending sequential imitation. A return to the opening style follows, but this time, almost like gravity, the harmony pulls us away from uncertainty (dissonance) to end with a feeling of peace (consonance). A Latin style, characteristic rhythms and ornamentation carry us to the world of the Spanish matador. The 5/4 time signature at the start, and the later insistent ostinato add humour, as the rider attempts to stay mounted. As the ending approaches, a repeated pattern rises from the depths of the piano. It culminates in a fortissimo descending glissando, as the jockey finally admits defeat! Each hand represents a person competing to win the prize in this final piece. Acciaccaturas, imitation and changing time signatures, combined with considerable dissonance including bitonality, bring All The Fun Of The Fair to a suitably quirky and light-hearted ending! You can purchase Funkey! and Jazz Keys, here and All the Fun of the Fair, here. My competition this weekend focuses on a series of extremely popular books. 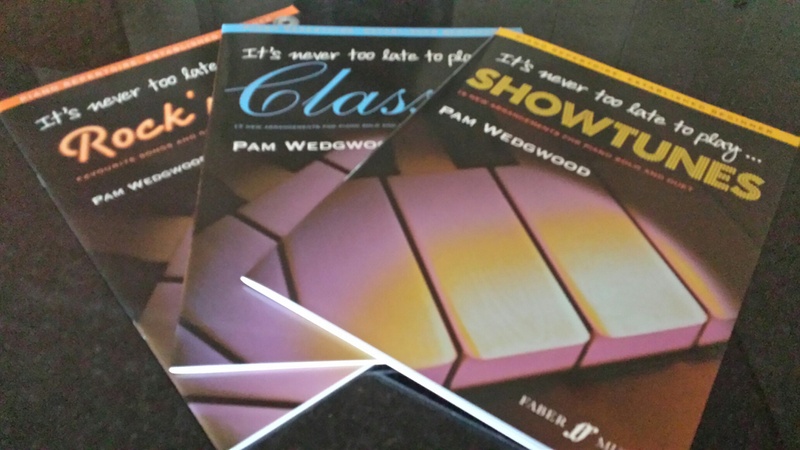 Dedicated to helping those who have been playing the piano for around a year, It’s never too late to learn to play…, written by the wonderful Pam Wedgwood and published by Faber Music, offers several publications. Each book comprises a group of well-known arrangements and some have accompanying CDs too. I have three books to give away to three lucky winners; Classics, Showtunes and Rock ‘n’ Roll. Please leave your comment in the comment box after this post, and I will pick the winners on Sunday evening (British time). Good luck! If you wish to buy these volumes, you can do so here.